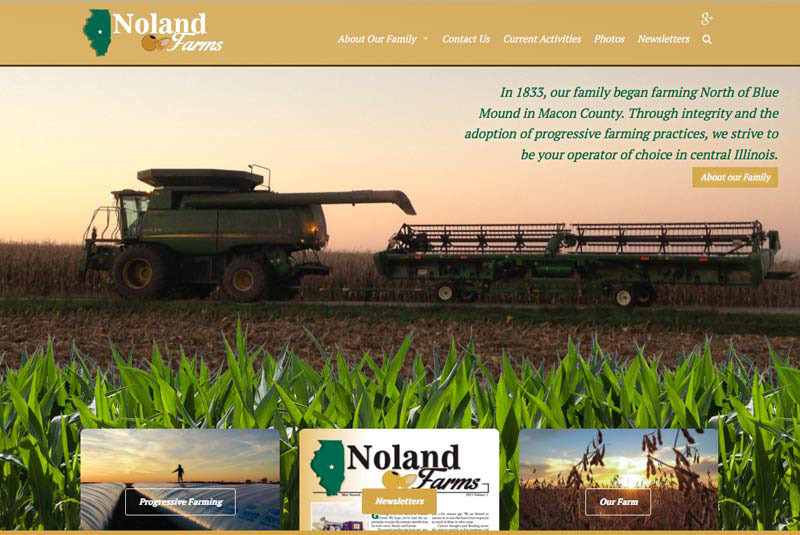 Noland Farms is a central Illinois family farm since 1833. The client wanted a new responsive design that had multiple siders. We added a slider image behind a field of corn and below that, a news slider. 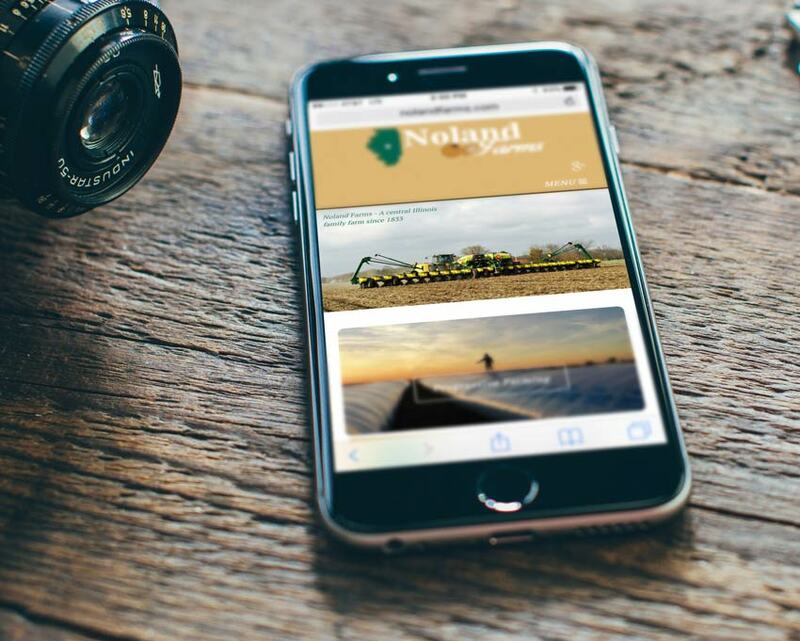 In addition, we created a new logo for both the site and the Noland Farms newsletter we produce.